Tiana Lecker is the daughter of Stephanie Lecker. Tiana is currently in her senior year of High School, and has been playing softball since she was four years old. In addition to softball, Tiana has also participated in basketball and plays on the Wicked Insanity travel softball team. In her free time, Tiana is a snowboard instructor at Ski Sawmill and enjoys playing the piano. Lady Hornets fend off North Penn-Liberty. 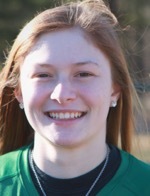 Canton softball shuts out Wellsboro.